EUSAS – The versatile system motor from WEG. 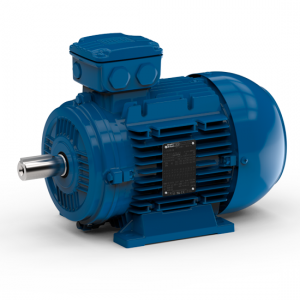 The EUSAS combines WEG’s competence in motor technology with the modular design by Watt Drive on a new level. he system motor allows the fast realisation of client specific products. EUSAS system motors are outstanding due to their versatile Possibilities of application and enhancements. The Key advantage of the EUSAS is the modular design, which allows the standard motor to be extended and adapted to suit your needs. Brakes: The motor can be equipped with spring loaded brakes. Additionally a manual release can be installed. Forced Cooling: Due to certain demands on the motor self cooling may be insufficient, in this case motors can be equipped with forced coolers. Encoders: Prepared for installation of various encoders which can be mounted either insider or outside the fan cover. Further Options: Back Stop, Protection Cap, Hand Wheel, Condensation Water Hole, Increased Climatic protection.